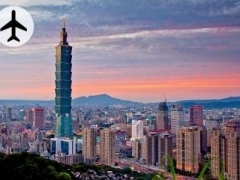 For $288 per pax, you get a 2 Way Cathay Pacific Flight to Taipei with 20kg Check-In Baggage (worth $498). Guancai Bread(Coffin Bread, 棺材板)- A true-blue Taiwanese original, Coffin Bread got its moniker from resembling a coffin in appearance. A thick slice of bread is deep-fried and cut open to resemble a box and a lid, then filled with a thick, sumptuous chowder full of carrots, shrimp, potatoes and other meats.